The strategic decision comes as the Company continues its continental expansion with an initial focus on the French market. The new office and European Logistics Centre in Nantes will be supported by the unveiling of a dedicated French website, marketing collateral and a first appearance at Paris’ All4Pack show Nov 26th- Nov 29th. The Company’s French headquarters include offices, a demo room and a spare parts and logistics center that is intended to enhance customer service and access as a part of the Company’s commitment to its “Be Global, Locally” ethos. Mr. Sebastien Templier, a market veteran with over two decades of experience serving clients in France and across western Europe, will be spearheading the European Logistics Centre, supported by a team of talented sales, after-sales and marketing experts. Mr. Templier comes to Shemesh Automation France with an arsenal of deep market knowledge and an extraordinary record whereby he was overseeing tens of millions Euros deals in sales and after-sales of premium machinery made by some of Europe’s top manufacturers. Mr. Templier commented: “teaming up with a global player like Shemesh Automation felt like a glove to a hand from day one. It truly feels as if my past experience and career trajectory led to this very exciting moment. That said, the opportunity both for Shemesh and its exponentially-expanding European client base was obvious. A year of rigorous training for both my team and myself makes me more confident than ever that this strategic move will be a great success for all parties involved. 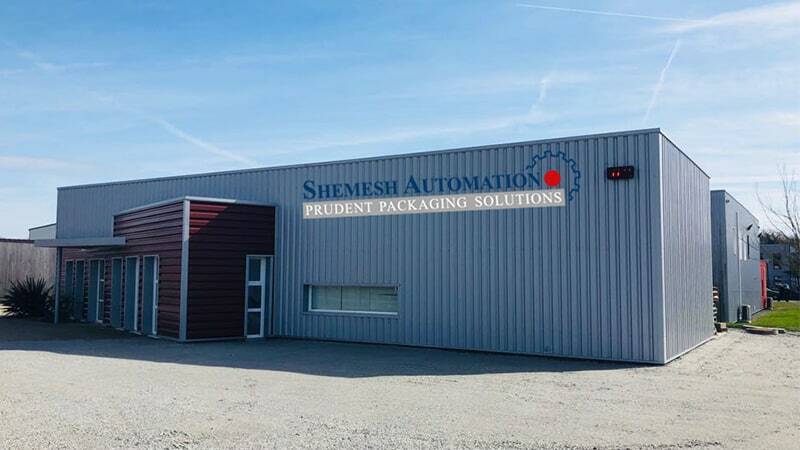 The quality of the Shemesh Liquid Filling Machines and Packaging Solutions, the range of its product portfolio, and its existing presence and experience are rare to find in the industry. I could not be more excited to enter into this role”.